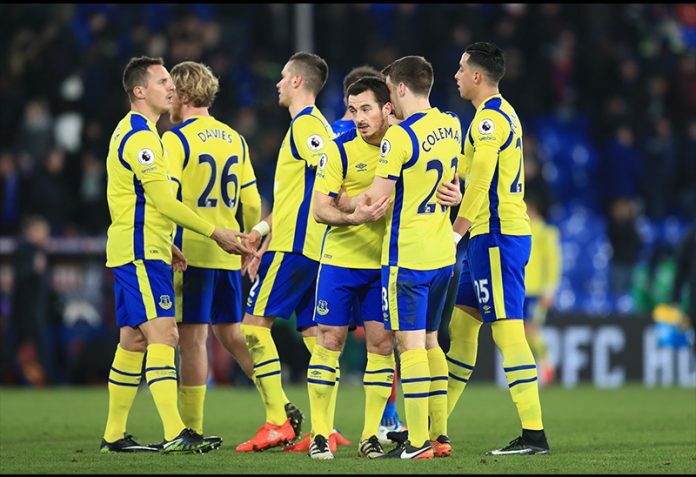 Yesterday’s impressive 1-0 win at Crystal Palace marked the end of a fine five-game run for Everton which has yielded thirteen points, twelve goals scored with only two conceded and four clean sheets. But for the FA Cup exit against Leicester little over a fortnight ago, Ronald Koeman has either found or stumbled upon a formula that allows him to get the best out of his players. Performances aside, the results in this latest five game streak in the Premier League are identical to how the Dutchman began his tenure on Merseyside; four wins and draw. However, in the aftermath of such a fine start to the campaign, results unexpectedly plummeted and before a much needed victory over Arsenal, another season of mid-table mediocrity beckoned after a run of one win in 11 league games. The general consensus amongst Everton fans during that initial unbeaten start was that the team were winning despite not playing well for any great length of time in each game. By comparison, the same run of form five months later shows many more positive traits that suggest Koeman and his team can sustain a level of performance and consistency that will serve them better than the fragile nature of their start to the season. 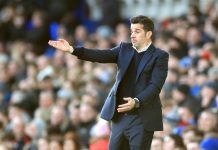 Whether the manager has arrived at a system with the current personnel that plays to their strengths by design or default is a matter of opinion, but then his pragmatic approach is surely a key factor in Everton’s stronghold as “the best of the rest” so far this season. A microcosm of such is the goalkeeping situation. Maarten Stekelenburg appeared to be an immovable object in Koeman’s plans. A fact that was reinforced by the lack of enthusiasm in the pursuit of Joe Hart. The 34 year old, who was previously not first choice at Fulham or Southampton, was even first choice for cup games despite that being the traditional platform to give some minutes to a deputy stopper. Indeed, through little fault of his own, Joel Robles must’ve thought his days at the club were numbered – his only appearance ironically coming in the only win of the aforementioned eleven game baron run. But an injury to Stekelenburg in the Merseyside derby gave the Spaniard his chance, which he has quite emphatically taken. 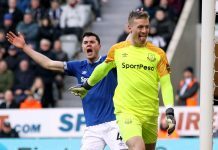 Robles has conceded just three goals in his seven Premier League games, keeping five clean sheets in the process – his growing influence of reliability quickly becoming an asset for Koeman, albeit one that came due to his hand being forced. However, with Stekelenburg declared match-fit ahead of yesterday’s trip to the capital, Robles kept his place – undoubtedly the right decision, but one which the manager probably wouldn’t have made earlier in the season. Another facet of Everton’s upturn in form and a likely indication that they’re in a better position to maintain it, is the growing influence of young players in Koeman’s selection. The progression of Tom Davies and Mason Holgate has not only appeased those desperate to see change in Everton’s first team, it’s also led to an improvement in those whose form hasn’t been good enough for large parts of the season. 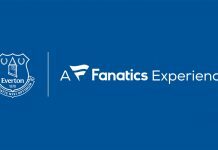 Kevin Mirallas, Seamus Coleman and Gareth Barry to name just three, have all lifted their respective games since Koeman has opted to include the club’s academy products which is also a distinct benefit of competition for places. Undoubtedly Koeman intended to utilise a 3-5-2 formation from as early as possible since joining the club. During the early season successes he would implement it during games that started with him opting for flat back four. The demoralising 5-0 defeat to Chelsea in early November probably ended his thoughts of utilising three central defenders until such a time that the personnel was available; In the last few games Koeman has been able to play his favoured system with Holgate, Rmiro Funes Mori and Ashley Williams performing very well as a cohesive defensive unit. In front of them, it’s testament to the performances of Barry and Davies that the impact of Idrissa Gueye’s absence hasn’t been felt to the extent that many first feared. Davies has been a revelation whilst Barry has been as reliable as ever. Furthermore, Morgan Schneiderlin is patiently waiting to make his contribution coupled with the Gueye’s return at the start of next month. All of a sudden there’s options in a midfield that desperately lacked them a few short weeks ago. Of all the beneficiaries in the team’s resurgence lately, Ross Barkley has arguably gained from and contributed more to it than anyone else. Perhaps slightly more out of the limelight due to the endeavours of Tom Davies, Barkley has been operating at a consistent level that’s been missing for some time, but more importantly, he looks more comfortable than ever wearing the blue of Everton. Davies appears to have the natural fearlessness in his approach that Barkley has desperately lacked, largely due to the burden placed upon him as much as anything else. But it’s now apparent that he’s benefiting from being around players in a shape that finally compliment his strengths. He’s able to make instinctive runs and play at a greater tempo with a midfield support that is much more mobile than the static and generally sluggish system he’s had to endure for most of his career; Davies is quickly becoming pivotal in getting the best from that system and indeed Ross Barkley. Whilst it must not be forgotten that Everton are currently a work in progress, it’s also important to understand that Koeman himself is learning on the job. From his early reluctance to veer from the tried and tested, to his trepidation in giving young players a chance, the manager is proving his adaptability to the situation within the space of just a few months – something his predecessors failed to do over the span of many years.